Garrett B. Moritz is a corporate and commercial litigator experienced in business litigation in the Delaware Court of Chancery and other Delaware courts, including litigation regarding M&A transactions, contests for corporate control, and allegations of breach of fiduciary duty against directors and officers. Garrett's recent deal litigation work includes representing URS Corporation and its directors in litigation challenging URS's approximately $6 billion merger with AECOM, KKR Financial Holdings LLC and its directors in litigation challenging its approximately $2.6 billion merger with KKR & Co. LP, Dresser-Rand and its directors in litigation challenging Dresser-Rand's approximately $7.6 billion merger with Siemens Energy, Inc., and Publicis Groupe S.A. in litigation Publicis's approximately $3.7 billion acquisition of Sapient Corporation. Garrett has also litigated cases regarding questions of compliance with indenture provisions and allegations of creditor fiduciary duties, as well as similar litigation involving preferred stock or hybrid instruments such as trust preferred securities. Garrett is also experienced in stockholder litigation challenging executive compensation decisions and in advising directors in connection with stockholder demand letters relating to executive compensation and other issues. 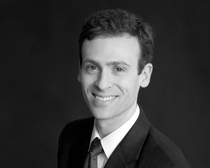 In addition to his litigation practice, Garrett also assists clients before litigation commences. For example, he frequently advises clients in connection with books and records requests and pre-suit stockholder demands. He also advises clients considering and planning potential transactions, bringing his knowledge of Delaware corporate law and the Delaware courts to bear in helping clients prospectively minimize litigation risk. Garrett's pro bono work includes serving on the District of Delaware Federal Civil Panel, a panel appointed by the Court to provide pro bono representation in meritorious civil cases. Garrett also filed an amicus curiae brief in the Delaware Supreme Court on behalf of the American Civil Liberties Union Foundation of Delaware urging affirmance in Delaware Valley Field Services v. Ramirez, No. 556,2012 (Del. 2013), which the Court affirmed. Before becoming a founding partner of Ross Aronstam & Moritz, Garrett was an attorney at Wachtell, Lipton, Rosen & Katz in New York, where he represented corporations and directors in some of the most significant M&A litigation of the 2005-2007 private equity boom and the financial crisis and economic downturn at the end of the last decade. Garrett began his legal career as a law clerk for the Honorable Robert D. Sack of the U.S. Court of Appeals for the Second Circuit.